Registration and tracking for CareConnect training is available through Cornerstone. RightFax is an electronic faxing solution that allows you to send, receive and manage faxes from your workstation, decreasing the amount of paper in the clinic and improving security compliance and protection of patient information. Applications for July 2019 will be reviewed on a rolling basis until October 31, 2018. 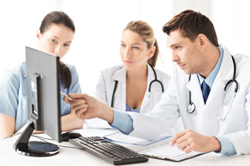 The IT Rounding Program provides on-site support for UCLA Health's hospitals and outpatient offices to meet the technological needs of staff, providers, and patients where they work. Specialists are available 24/7 to provide support. 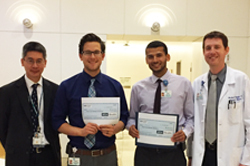 Congratulations to all our 2017 Resident Informaticists and to Dr. Escovedo and Dr. Kozman for winning the Resident Informatics Symposium! Need Assistance? Contact ISS Customer Care at 310-267-CARE (2273). Customer Care Specialists are available 24/7 to provide support.